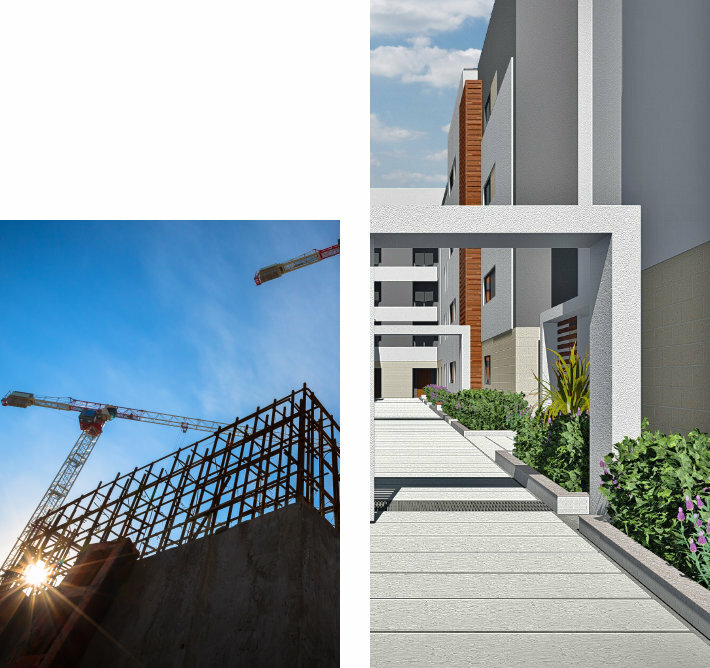 SAS Malta is a structural engineering and architectural firm based in Birkirkara, Malta. It was established by Perit David Paul Grima in 2011 to deliver exceptional structural engineering expertise to developers, contractors and property owners with an emphasis on service, quality and economy. The emphasis was on providing value engineering with the aim of using sophisticated engineering techniques to deliver cost effective and efficient buildings. Throughout the years the firm has evolved to provide all the services required by periti and today has a team dedicated to planning and architectural design. Throughout these years, we have been involved in various large and medium sized projects such as apartment buildings, houses of character, hotels, restaurants, offices, etc both in Malta and abroad. At SAS Malta, you will be working directly with the decision maker and we believe that providing this level of involvement by experienced professionals will ensure that the integrity of the work will be upheld from the beginning to the end which is essential to maintain schedules and budgets. Whether working for the owner, contractor, developer or investor, our goal is to deliver an excellent building. The firm provides a responsive service and is strongly committed to ensure projects meet all the needs, to achieve the goals and expectations of our clients. To achieve the objectives of our mission we have a framework which provides the vision and guide for our business. The service we provide must be right the first time and every time. Our people are our business. The company and its employees have a duty to collaborate and work together to deliver the right service. Taking pride in what we do and carrying our work to the best of our ability is our motto. We have found this level of commitment as an essential component of what distinguishes SAS Malta in this profession. David Paul Grima obtained his Bachelor in Architecture and Civil Engineering from the University of Malta in 2005. He has also obtained a Postgraduate Diploma in the Conservation of Masonry Structures from the University of Malta and MSc. In Concrete Structural Engineering from Imperial College London. He had worked with established practices in Malta for a number of years before setting up the practice. Throughout the years he has worked on large commercial and residential buildings both in Malta and abroad. David Grima is a Chartered Engineer and is registered with the British Institution of Civil Engineers and the United Kingdom Engineering Council. He is also warranted as an Architect and Civil Engineer by the Government of Malta and FEANI. David is an architect and structural Engineer and has worked on various projects in various stages of the design process. David is specialised in structural engineering after obtaining his M.Eng with distinction from the University of Malta. He mainly works on the large scale projects within the firm. In his spare time, David is keen on Art and has a particular interest in etchings. He is warranted as an architect and civil engineer by the Government of Malta. Wayne is an architect and civil engineer who worked with various top firms before joining SAS Malta. He is particularly good at dealing with complex situations and handles both clients and contractors. Wayne is keen in both structural design and site supervision. He has also obtained his warrant to practice as an architect and civil engineer from the Government of Malta. Riana graduated as an architect and civil engineer from the university of Malta in 2017. She specialised in structural engineering and graduated with distinction. She has worked on various medium and large scale residential and commercial projects. Bernardette obtained a Higher National Diploma in Construction from the MCAST in 2010. Her work involves both architectural and structural detailing and ranges from small residential projects to large scale projects. These varied projects have prepared her to tackle situations which require her to think on her feet and come up with innovative solutions to any complications which may arise. Jade graduated from the University of Malta in 2018 and specialised in structural engineering. Her ambition is to work on innovative and challenging buildings. She is also a professional dancer and has a keen interest in outdoor activities including mountain climbing. .
Sharon joined SAS in 2018 and oversees the administration side of the company. Her role includes liaising with clients and overseeing various accounting procedures. She has a large amount of experience in this sector and has worked with very large firms in the past.